It’s Friday, which means it’s time for another Destiny Xur location and item post here on PlayStation LifeStyle. This weekend players can spend 17 coins on the Telesto fusion rifle. Hunters can grab the Crest of Alpha Lupi chest armor, Titans can pick up the Empyrean Bellicose helmet, and Warlocks can purchase THE STAG helmet for 13 coins each. Xur is also selling Exotic Legacy Special Weapon Engrams for 31 coins. Xur is also stocked up on a Monte Carlo and Superspy bundle, as well as a Red Death and Steel Witch bundle, with each costing 30 coins and 25 silver dust. 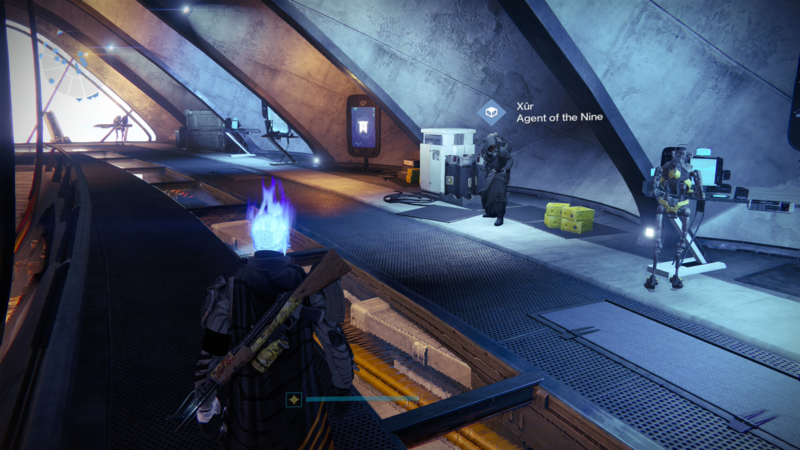 For this week, Xur – Agent of the Nine can be found in the Tower, beside the Vanguards. In other Destiny news, Bungie has given us a taste of Destiny 2 gameplay. More info on the new game can be found here and here. The sequel’s expansion schedule has reportedly leaked by a GameStop employee. Destiny update 2.6.0.2 is live, addressing the Trials of Osiris match issues. We unboxed our invite to the Destiny 2 gameplay reveal on May 18th.